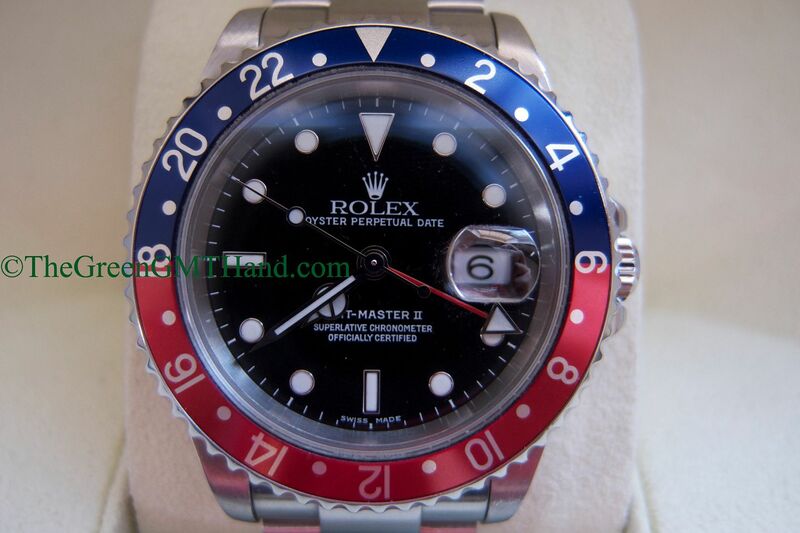 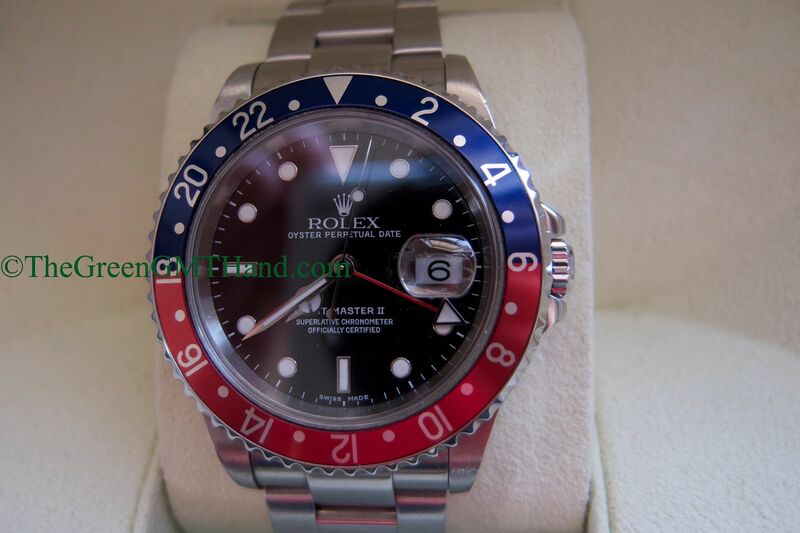 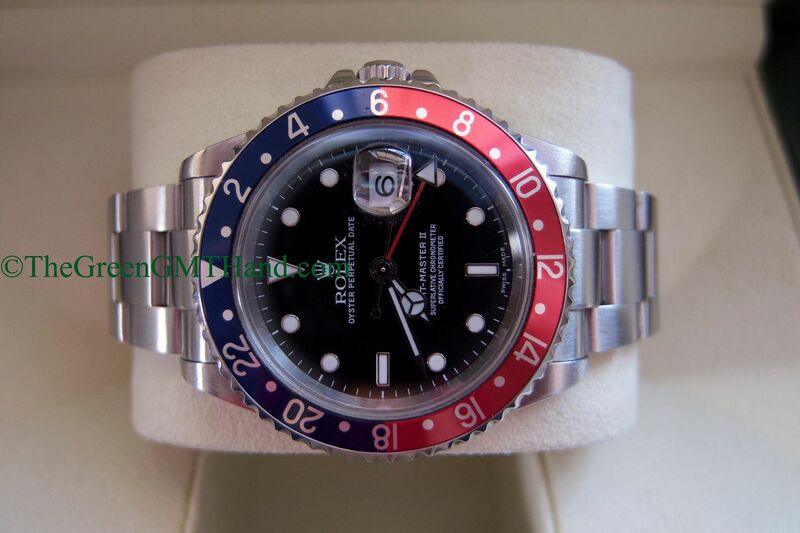 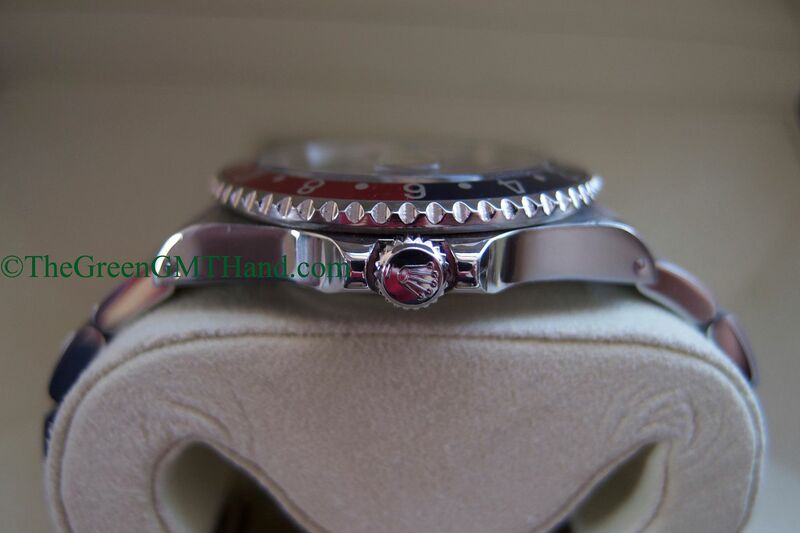 Another transitional Rolex 16710 GMT Master II blue and red Pepsi bezel that we sold. 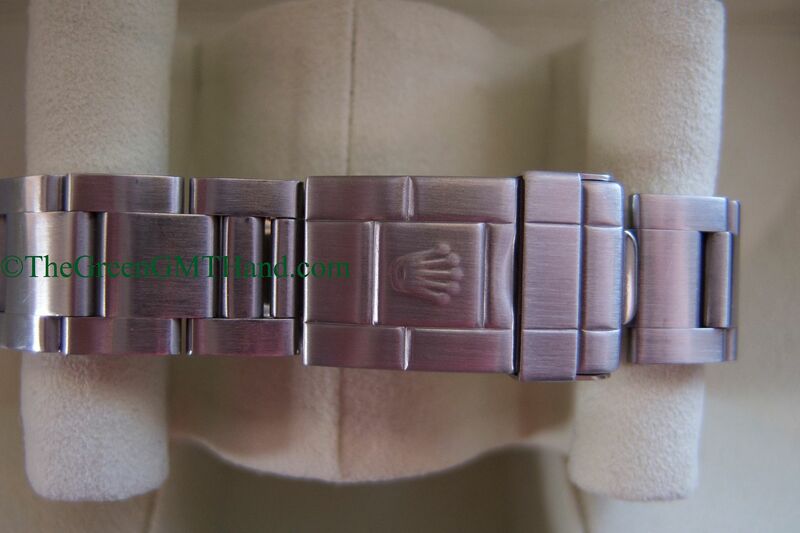 This is a complete set with all original Rolex boxes, manuals, warranty certificate, and even service papers from Rolex USA (RSC). 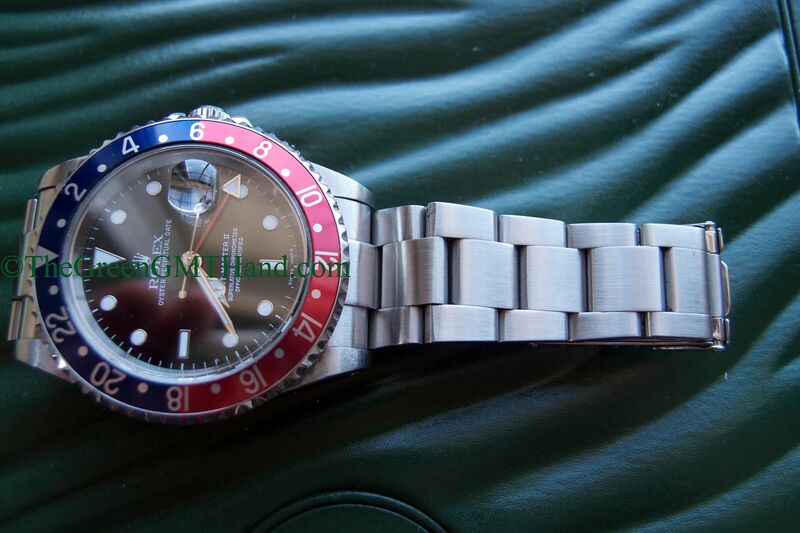 This 16710 GMT Master II features the desirable and short lived combination of solid end link SEL bracelet and case lug holes. 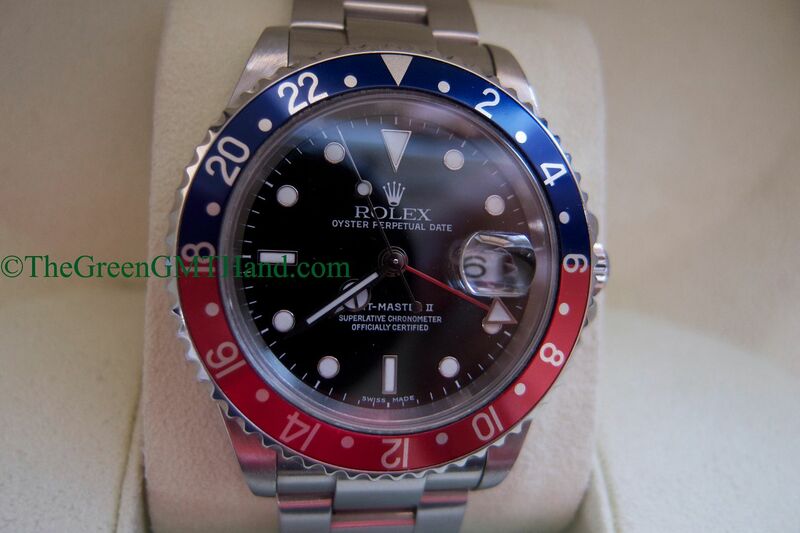 Equipped with the 3185 movement, this 16710 was photographed in a newer style box but the buyer received the original older style box set. 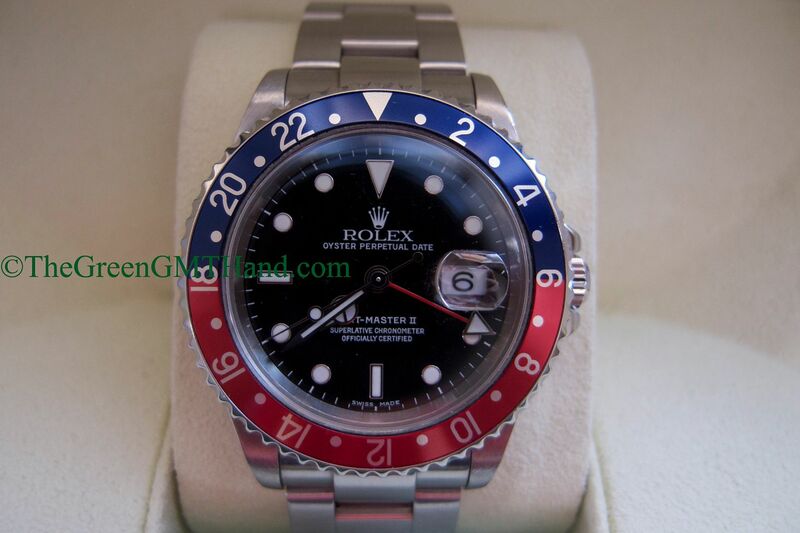 SOLD and delivered to our buyer with original Rolex boxes, warranty certificate, service papers, manuals, and tag. 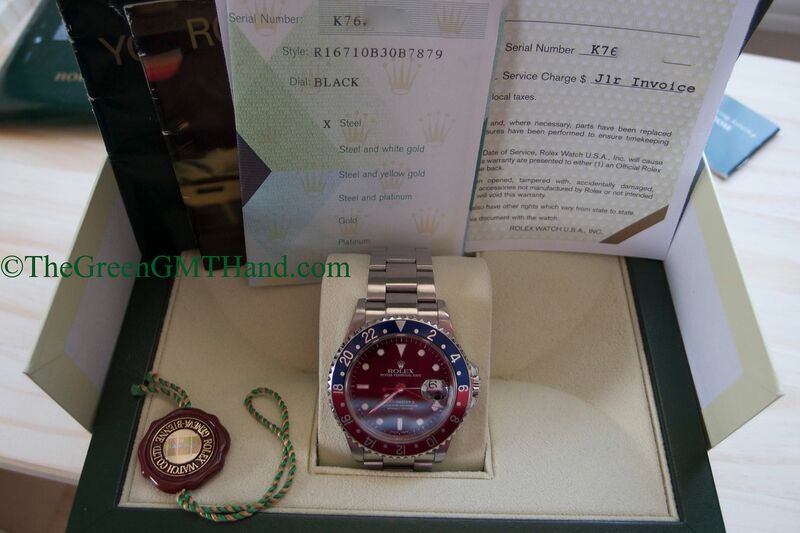 We often find watches with service papers/receipts if the original owners followed the 5 year recommended service interval. 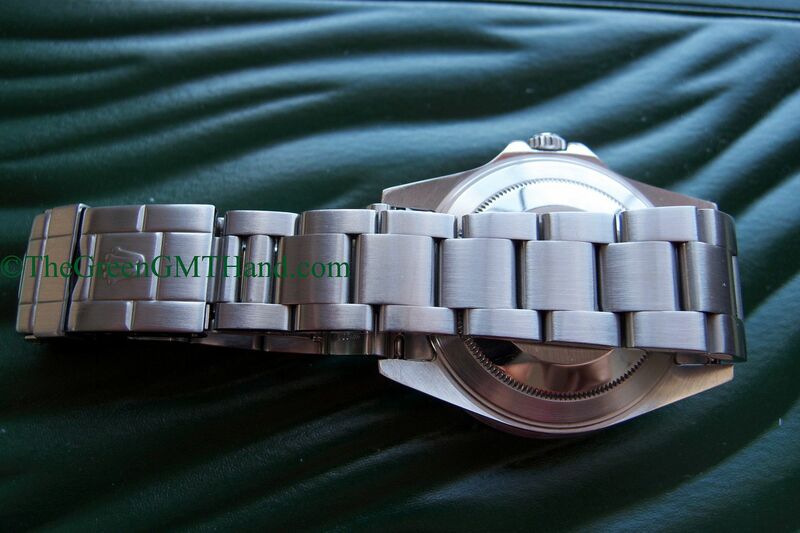 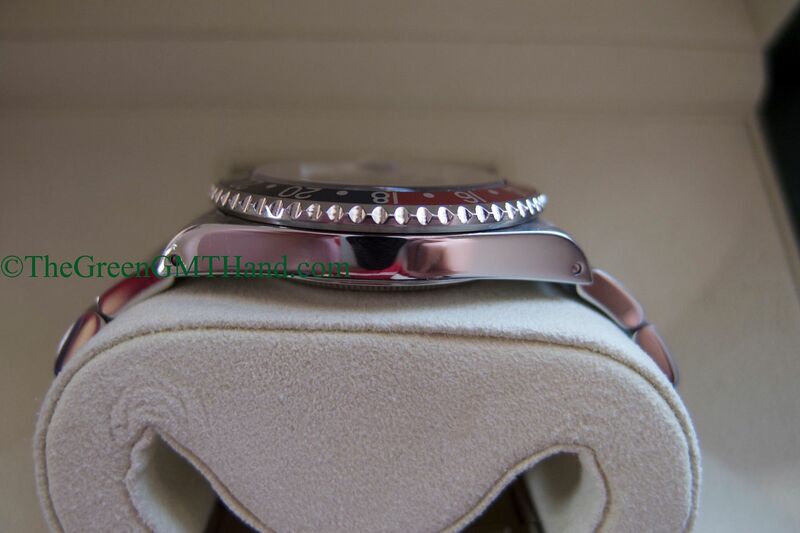 Please see our service section for more details on watch maintenance and servicing.